With the fight over Net Neutrality still burning in the U.S. and elsewhere, many consumers are now coming face-to-face with unfamiliar terms. Throttling? Broadband? DSL? Fiber? Upload and download speeds? The word soup seems to increase every day, and even in context the topics can still be confusing. For someone shopping around for internet plans from different providers, it can be hard to understand why any of that matters. And given a lot of information typically comes directly from ISPs trying to sell you internet plans, it can be hard to know who to even trust. Thankfully, you don’t need an advanced degree in computer science or networking to learn the meaningful basics. This definitive guide should help you better understand what all of those internet terms really mean—and why they matter when you’re shopping around for broadband services. In this guide, we’re primarily focusing on everything to do with “broadband.” However, we go into great detail regarding what internet speeds and terminology mean in general. As you’ll find, internet speeds are measured in bit, with kilobits typically being the smallest measurement of speed, and megabits being the most common measurement. However, many ISPs are now offering superfast gigabit internet speeds, which are able to download HD movies in seconds. For the purposes of our guide, however, the focus on broadband is the most important, as the high-speed, always-on internet connection is the type of internet most consumers are now using. From a simple perspective, internet speed is just a measurement of how fast you can download or upload information over the web. For example, your biggest concern may be whether you can stream a video from Netflix in HD without buffering. For that, you would need a certain amount of speed (something we talk about later in this article). For fun, we recommend measuring your internet speed as a starting point for understanding internet speeds and broadband terms. Performing a few speed tests will give you a good idea of what internet speed looks like. You may even want to do a few test downloads of safe programs to see how long it takes for you to download a file in general. Nevertheless, having a good idea of what your internet speed looks like right now will give you a good baseline for the discussions that occur below. The term broadband gets thrown around quite often these days without much attention to detail. When most of us hear the term “broadband” we usually just think “high-speed internet.” Without getting into too much detail, that’s probably the easiest way to think about it. Even still, the internet speeds that fit the term broadband can and do change, as its definition is often set by regulating authorities (such as the FCC). All broadband internet access is delivered by what is known as an internet service providers, or ISP. These companies provide internet access to consumers, businesses, and governments using a large variety of different technologies. Most consumers are familiar with ISPs through cable companies such as Comcast, Sky, or Verizon. However, mobile phone companies can now be considered ISPs as well. The introduction of 3G and 4G mobile broadband means that companies cellular services only, such as T-Mobile or Sprint, are also by definition ISPs. For the most part, if you want internet access, you will need to purchase it from an internet service provider. There are some limited exceptions, but these are particularly uncommon. In the U.S., the federal definition of broadband speed is 25 Mbps down, 4 Mbps up. However, the current FCC administration has stated its intention to lower that speed definition down to 10 Mbps. In the U.K., Ofcom determined 10 Mbps to be a legal right for businesses and families. Prior to that, the government considered 2 Mbps to be a universal basic right. The U.K. government also defines “superfast broadband” as any speed above 24 Mbps. In Canada, the government “wants” all citizens and businesses to have access to at least 50 Mbps download speeds. However, the Canadian telecoms regulator, CTRC, does not have a minimum requirement or mandate and in 2016 declared high-speed internet access a basic right that’s “necessary to the quality of life” for Canadian citizens and residents. Australia has a government-owned National Broadband Network, from which ISPs purchase the right to use and sell access to customers. The Australian government’s official policy is to provide at least 25 Mbps to everyone, with 50 Mbps available to 90 percent of premises. While broadband speeds and minimum requirements can vary from country to country, the same technologies often exist everywhere. There is no one way to provide broadband internet access, with researchers and engineers regularly developing new technologies to provide faster speeds. For many consumers old enough to have used dial-up internet with a voiceband modem (the one with the screeching sounds as the connection is made), DSL was the next step beyond dial-up. A Digital Subscriber Line, or DSL, is one of the earliest iterations of broadband internet. DSL is a generic term for high-speed internet access over traditional copper telephone lines. There are various technologies within the DSL family that can provide speeds of up to 100 Mbps. However, average DSL speeds tend be fall far shy of what’s technically possible, typically falling somewhere between 128 Kbps and 2 Mbps. ADSL is a copper wire broadband method in which the download and upload speeds are asymmetrically delivered, with download speeds preferred. As a result, residential users with an ADSL line gain faster download speeds, but minimal upload speeds, making it a less preferable option for those that want to do a lot of uploading. This version of DSL was first introduced in 1998 with 8 Mbps download speeds. Its current iteration, ADSL2+, allows for 24 Mbps down. ADSL is uncommon, however, and in locations where it’s offered, it’s often expensive per bit rate. It is desirable as it can be used to carry both internet connections and voice on the same line, making a second telephone line unnecessary. ADSL also comes in several varieties, including RADSL, which can adjust bit rates based on line conditions, and ADSL Lite, which provides much lower bit rates and has a short range of around 18,000 feet from the service provider. Unlike ADSL, SDSL requires users to have a separate phone line for the service to work. And while ADSL prefers download speeds, SDSL allows users to download and upload at equivalent bit rates. SDSL is also relatively short ranged, requiring a proximity of around 10,000 feet from the service provider. Other symmetric DSL technologies include HDSL (high-bit-rate) which provides a slighter faster speed than SDSL, and VDSL (very-high-bit-rate) which offers the fastest DSL speeds of up to 100 Mbps but also has an extremely short 300-foot range from the provider. 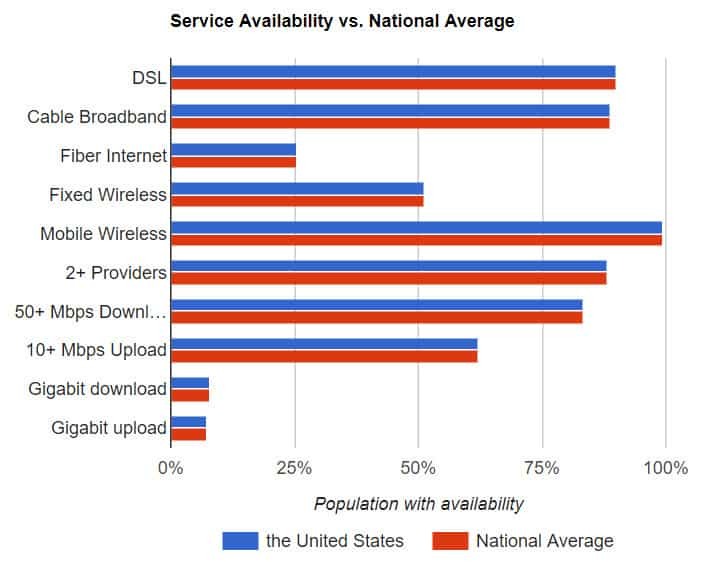 Between the U.S., Canada, U.K., and Australia, consumers in Australia are more likely to find DSL options. In many other countries, DSL has given way to either cable, fiber optic, or satellite. Cable is currently the most-used method for broadband access in a large number of countries where broadband is available. In countries like the U.S., Canada, and the U.K., cable TV companies began offering internet access as part of a packaged deal. This type of internet utilizes a modem with an attached coaxial cable. The coaxial cable inserted into the modem is the same one that you would find attached to your cable TV box. Much like telephone wires, coaxial cable wires are copper-based, but due to their design, are able to deliver significantly more data across the line. Cable internet can deliver speeds of up to 10 Gigabits per second or more with some additional technology applied (such as combining coaxial and fiber technologies). 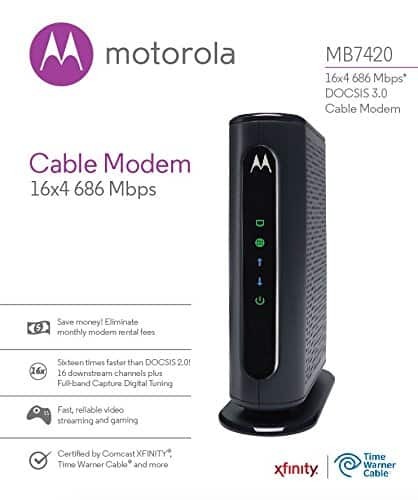 Additionally, the overall speeds you may enjoy through a cable modem are limited primarily by the number of channels you’re offered through your modem. The more upload and download channels you’re offered, the higher your combined download speeds. Primarily offered to those in more rural locations, satellite internet utilizes geostationary satellites to deliver high-speed internet access. This means the satellites are in a fixed location in space, and not orbiting the planet. Satellite broadband works the same way as satellite TV. Data transfers between the satellite and receiving dish are constant, resulting in the “always on” requirement for broadband internet. However, some factors can influence the strength of the connection, such as line-of-sight, weather, and other obstacles. 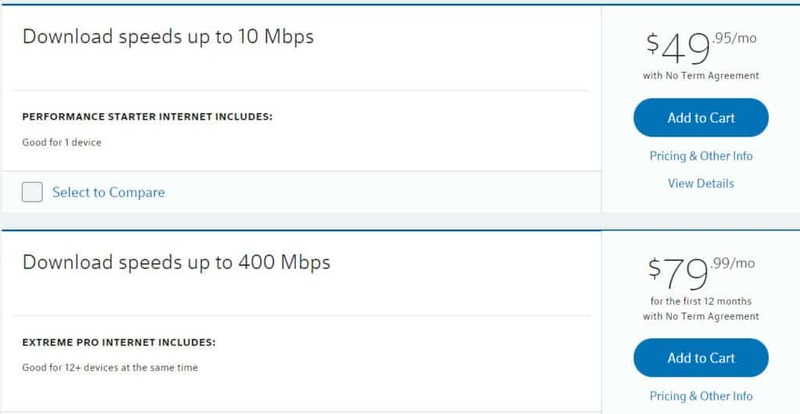 Available speeds for satellite internet are limited only by how technology in the satellite an ISP is using at the time. Average downlink rates are 1 Mbps, while some of the newest ISP satellites can offer up Gigabit internet speeds (at a very high cost). For those living in rural communities, however, satellite internet may be the only option due to traditional ISPs refusing to build out costly infrastructure for a small number of customers and little return on investment. Among the newest and fastest broadband internet technologies, “fiber” is short for “fiber optics”. Fiber optic cables carry information using light signals, and as such, transfer data at the speed of light. This method allows for faster and more expansive data connections. The glass fibers are extremely small (about the width of a human hair), and one fiber can carry a signficant amount of data at high speed using various multiplexing techniques. There are few limits on how fast a fiber connection can be. Most Gigabit internet options are carried through fiber (or in some cases, fiber/coaxial combinations). However, some researchers have proven that fiber could offer terabit data speeds, with one group achieving 255 Tbps with a single fiber. For perspective, even 1 Tbps would be enough to download around 250 HD movies in one second. As fiber optic options are still comparatively new, they are typically only available in areas with a dense population. Rural access to fiber will likely be a long time coming, if at all. As with cable internet, the cost to run lines to rural areas in many cases does not result in the short or medium-term profit ISPs are looking for to make the project valuable. If you receive data on your phone while out and about, you’re likely using either a 4G or (heaven forbid) 3G wireless connection. Mobile broadband utilizes mobile cell phone towers to deliver data to your phone and other devices. Each generation of mobile data technology is signified by its “generation”, or “G”. Prior to 3G, mobile data could not effectively fit the term “broadband” as speeds were not fast enough. Any internet connected device can conceivably receive mobile broadband, so long as it includes the proper hardware. In many cases, those who can’t access proper broadband through cable or DSL may have access to mobile broadband through hotspot devices. These devices simply connect to a 3G or 4G and operate like a router, bouncing the signal to other devices in your area. 3G connection speeds can range between 348 bits per second to around 7 Mbps. However, it is possible for 3G connections to achieve around around 50 Mbps with newer standards. 4G connections typically average around 14 Mbps, but can reach up to 100 Mbps. Some 4G technologies (currently unavailable to consumers) can hit 1 Gigabit. As for 4G LTE (Long Term Evolution), you’ll likely notice some speed improvements over basic 4G. LTE is actually more a marketing term than a separate 4G technology. Instead, it’s to signify that the mobile provider offers slightly faster 4G speeds. The same goes for 4G LTE-A. The real excitement in mobile broadband now, however, is in 5G. The next iteration of mobile broadband will use decommissioned over-the-air TV signals to carry data. These signals can carry far more data at a faster rate than 3G or 4G but have a much shorter range. 5G promises 1 Gigabit internet speeds as a baseline, with the potential to deliver 4-5 Gbps or more. Additionally, as signals can be carried and transmitted over existing cell phone towers, some roll-outs for 5G will take less time. However, as 5G signals will have a shorter distance, more cell towers will be required for better coverage (meaning yes, rural communities may again be left in the lurch). Wireless Internet Service Providers, or WISPs, are a somewhat uncommon ISP type originally created to provide internet access to rural communities where other options did not exist. WISPs can include larger scale wifi mesh networks or towers that use dishes to send data over open ultra high-frequency bands (similar to over-the-air TV). As with satellite, WISPs often have line-of-sight issues given they often use mid-range dishes to send out data terrestrially. Additionally, WISPs are limited in how much speed they can provide, often maxing out at 15 Mbps. When it comes to discussing the internet and especially broadband internet, the most common and most commonly misunderstood term is speed. What is internet and broadband speed, anyway? 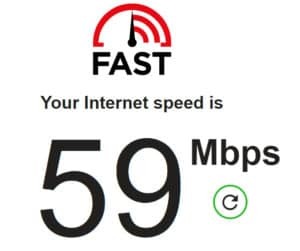 Speed, as it relates to your internet connection, is about how quickly you can either download or upload information. Those two aspects of internet speed are usually displayed separately, but they are still important, although download speed is the more important of the two for most people. Your internet speed is measured in how many bits of data are transferred each second. Each bit of data is the fundamental building block of computer information. A bit, which is short for binary digit, is either a 0 or 1. This is where things might get familiar. You’ve likely heard that all data at its base level is a combination of 0s or 1s, a system known as binary. Think of a bit like you might think of human DNA. It’s the basic building block of information that makes data what it is, but like DNA, a single bit doesn’t do much. You need a lot of it to create something. When you upscale those bits of data and organize them in certain ways, you start getting useful information. The more bits you have, the more information you have. The larger a file is, the more bits it’s composed of. As your file size gets larger, it often stops getting calculated in bits and starts getting measured in groups of 8, known as a byte. If you’re streaming a movie from Netflix in standard definition, your connection will need to download at 3 megabits per second (Mbps), or 3 million bits per second for standard definition. Any less than that and you’ll likely encounter an issue called buffering (also known as the bane of your streaming existence). 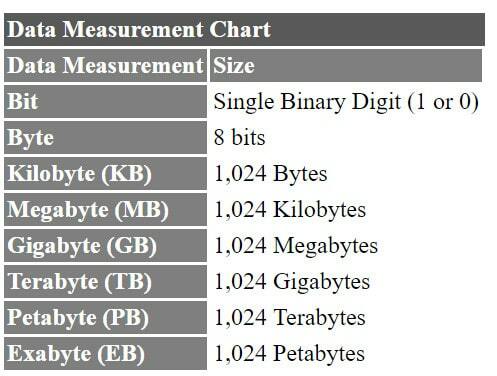 Note that you may see numbers described in MegaBYTES as well. Megabytes are given a large B (MB/s) instead of a small b (Mbps). Internet service providers like Comcast, Verizon, Sky, Spectrum, and others will use the more commonly accepted Megabits per second (Mbps) to calculate internet speeds. As file sizes tend to be large these days, you’ll find files downloads are typically labeled in Megabytes (MB) and not Megabits (Mb). If you want to convert your internet speed into Megabytes, you can divide your speed (notated in Mbps) by 8. For example, 25 Mbps divided by 8 would equal 3.12 Megabytes per second (MB/s). 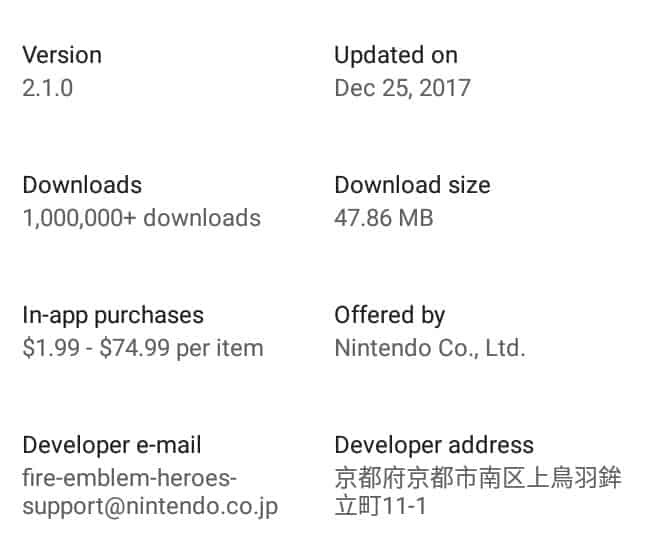 This Android App has the size shown in Megabytes. (Although we focused on Megabits for internet speed, in some locations internet speeds can get up to or exceed 1,000 Mbps. At that point, it’s called a Gigabit. At the present time, Gigabit internet speeds are both rare and often expensive for individual consumers, so it’s unlikely you’ll need to worry about understanding this one for at least another decade. However, if you do want to know more about Gigabit internet options, click here for a map of U.S. cities where Gigabit internet is available). So what is a good internet speed? That’s debatable and mostly dependent on what you’re doing online. If all you’re using the internet for is web browsing, you likely don’t need more than 5 Mbps, if that. However, if you want to do something a bit more rigorous, such as streaming video, music, or playing games online, you’ll need much more speed and bandwidth. While more is certainly better, there is such a thing as purchasing more internet speed than you actually need. 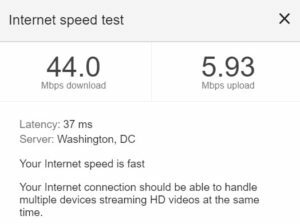 Still, internet speed is only a part of how quickly you can download or upload and whether or not you’ll run into video buffering issues. Your speed is also impacted by what’s known as ping or latency. Ping and latency are among the two hardest broadband concepts to understand. For the casual user, they’re also far less important to understand than Megabits. That said, ping and latency can have a distinct impact on your how quickly you’re able to download or upload information over the web, especially if you’re connecting to remote servers through a virtual private network (VPN). And they could be the direct result of your buffering issues as well. Although these two concepts are separate, they work together. In the simplest of terms, ping is the signal your computer sends out to another computer (typically to the website or service you’re trying to access). Latency is the word we use to describe how much time it takes for other end of the line to return a successful response. Another way of thinking about latency is as a measure of the time delay that exists between you pinging a server and getting a response. The lower the latency and ping numbers the better, as that means the connection between you and the website or service you’re trying to access is both strong and fast. 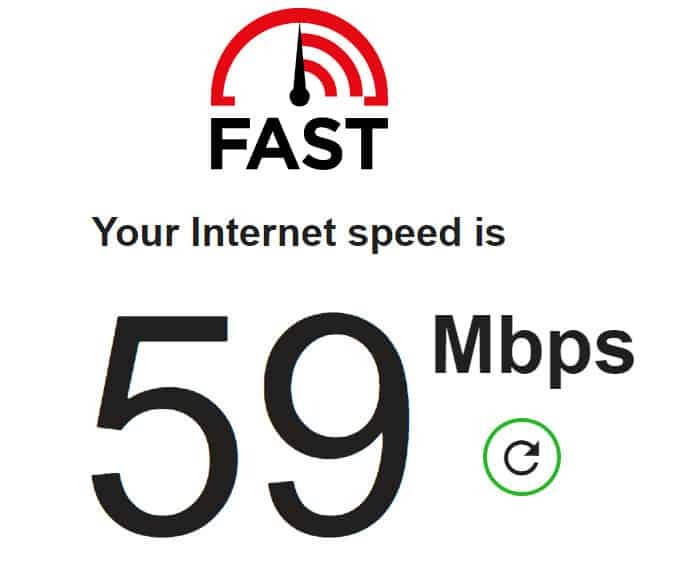 When both ping and latency are good, it means you have a successful connection to the site or service you’re trying to access. In most cases, you’ll just see the response time shown in milliseconds. The lower the number, the better. This ping map from MapLatency.com shows how long it takes to ping Comparitech.com from different places across the world. Your download and upload speeds can be impacted by poor latency. And for that, there are a number of different factors that could be causing problems. Although data travels effectively at the speed of light these days, the distance can still make an impact. If you’re trying to connect to a website in Australia while located in Alaska, it’s naturally going to take a little longer for a website to load. When used as a solitary term, latency takes on another meaning. It can also be used to describe a number of connection issues that can cause a delay in data transfer across a network. If you’re dealing with buffering, low bandwidth could be a problem. However, latency issues could also be causing a reduction in your bandwidth. As data gets caught up during the connection process, this can cause a bottleneck that results in more bandwidth and therefore, more buffering. Everything you do online isn’t going to require good ping or latency. For example, if you’re simply looking up information on Wikipedia or answering emails, your web pages are still going to load as you don’t need to transfer a lot of data. However, if you’re engaging in activities that require a quick response, such as video chats or online gaming, you need good latency. For video-related activities, poor latency means you’ll experience more buffering, lagging videos, and occasionally a disconnect between the audio and visual output. When it comes to gaming, poor latency usually means a lot of lag (and a significant amount of “lag armor”, which may be good in some cases). Ultimately, an uncongested network should result in low latency, but if there are large numbers of people accessing a website at the same time, this could cause issues on your end. Additionally, if you’re using wireless broadband systems, such as satellite or a WISP, you’ll experience more latency. When it comes to how much of that advertised internet speed you’ll actually get to enjoy, bandwidth is the most important factor. To best understand bandwidth, it’s good to think of your internet connection like a highway (perhaps an…information superhighway? But I digress). A two-lane road with a 60 mile-per-hour speed limit can be fun and fast to drive on, so long as there aren’t a lot of other people on the road. But the more people that drive on the road at the same time as you, the more congestion there will be and the slower everyone will eventually be going. Your internet speed is similar. If your advertised internet speed is “up to 25 Mbps,” you should conceivably be able to download at that speed. But if you have multiple devices running on your home network, all streaming HD video from Netflix, you’ll get a lot of congestion, slowing your effective speeds down. Bandwidth is the term we use to describe how much of that internet speed you’re actually able to enjoy. If more computers and devices use the same limited connection, your bandwidth will decrease and your downloads will take longer. You’re also more likely to experience longer load times for videos and buffering issues once those videos start streaming. You can’t always blame your kids for eating up all of the bandwidth, however. While you have a certain amount of bandwidth allocated to you through your ISP, you’re also sharing that bandwidth with everyone else around you using the same ISP. During peak internet usage hours, you’re likely to experience more slowdowns while streaming videos or downloading and uploading on your network. As you can see, I’m not getting anywhere near that 100 Mbps. In fact, I’ve never even approached that much, even under ideal conditions and off peak hours. This is something to take into consideration when shopping around for your internet service plans. Thanks to bandwidth issues, which are ultimately unavoidable, you can usually expect to get half or less than half of the advertised maximum speed. So is there a fancy term for the number of people sharing a network together? Of course! It’s contention ratio (or less popularly, oversubscription ratio). Contention ratio is the term used to describe the number of simultaneous users sharing the same data capacity. As you might guess, the lower the ratio, the better quality of service. Contention ratio is why more people on a network causes everyone’s effective speed to slow down. It’s also why you may need to consider purchasing higher speeds from your ISP if you’re consistently getting less than what you’re paying for. ISPs often reduce everyone’s allotted bandwidth during peak hours to limit the type of network clogging that results from increased contention ratio. However, you’ll still feel the pinch due to the universal growing demand for bandwidth. And in the U.S., ISPs have been painfully slow about upgrading their networks to account for more traffic, meaning you’re likely to be forced to pay higher rates for more speed and bandwidth if you want to avoid issues while streaming. While we’re on the topic of bandwidth, it’s important to highlight a common misunderstanding about internet speed. If you find you’re regularly loading web pages slowly, but still paying for broadband, you might think that there’s something wrong with your connection. Instead, you could be dealing with a slow computer. The age of your computer could be impacting your web browsing experience. Internet speed matters, but so too does your computer’s hardware. If you have limited amounts of memory and processing power on your computer, high-speed internet isn’t going to circumvent that. Your computer still needs to be able to process the data it’s receiving, even if it’s receiving it at 25 Mbps. Before trying to find a new broadband service or calling up your ISP to complain, you may want to try to speed up your PC first. The last part to understanding broadband is the actual equipment your using. Whether you’re utilizing cable, fiber optics, or mobile broadband, you’ll need the proper equipment in your home to make it all work properly. A modem is a device that receives data signals from your ISP and makes those signals usable for transmission to your devices. 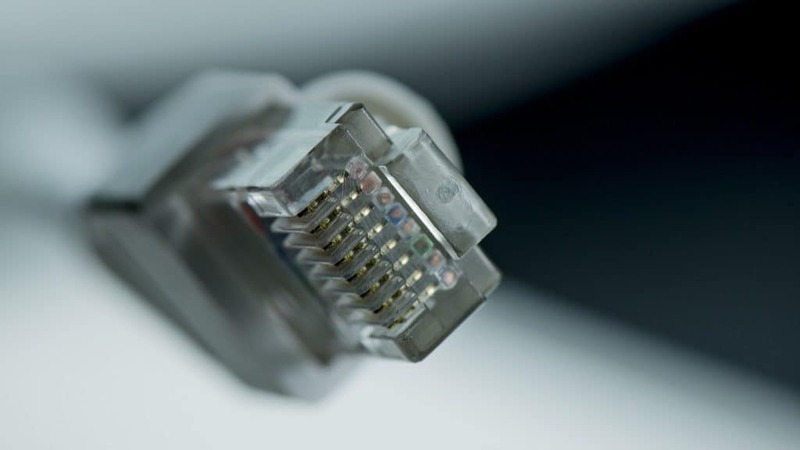 Without a modem, your desktop, laptop, and other internet-connected devices in your home would not be able to effectively receive and use your ISP’s internet. A modem is only required if you are using one of the several wired internet options: DSL, cable, or fiber. In most cases, if you purchase wired internet access from an ISP, they will offer to rent you a modem. However, you can and probably should purchase your own modem. The problem is that the ISP will rent you that modem indefinitely, regardless of whether you’ve given them enough money to pay off the cost of purchasing the device. Buying and using your own modem can save you over $100 a year. A decent quality modem can be purchased for under $100, meaning you’ll start seeing those savings pretty quickly. Additionally, you can take that modem with you when you move. Some ISPs will have very specific modems that will work with their service. As such, you’ll need to make sure you inquire about which modems work with your ISP before going out and buying a modem. You may also be able to purchase the modem directly from your ISP. However, we recommend doing a price comparison first to ensure the ISP isn’t including a price markup. Unfortunately, some ISPs will demand that you use (rent) their modem to use their service. Make sure to inquire with your ISP before making that change. Unless you plan to hook up your computer directly to your modem, you’ll need a router to broadcast your internet connection across your house. A router does what its name suggests: routes your internet connection to other devices. 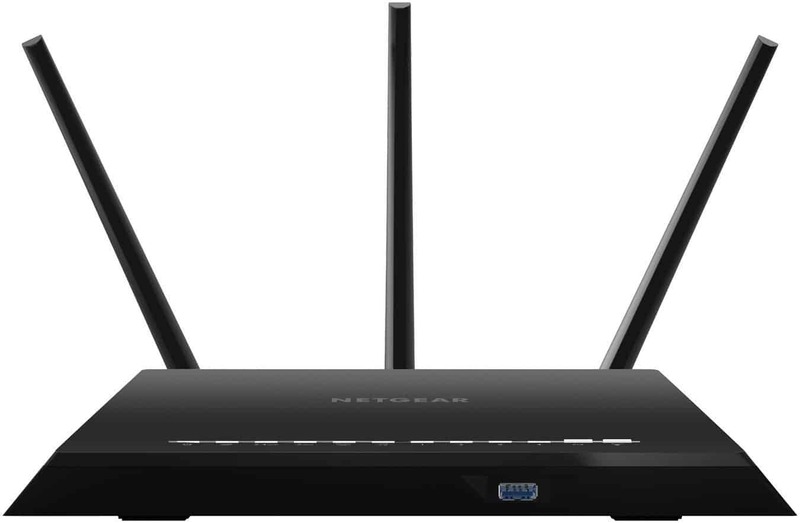 Wireless routers allow you to broadcast your internet to any device within a set range. That range depends on the strength of the router, with more expensive routers typically offering more range. As long as your devices can receive a wifi signal, they will likely work with your router. Do note that some routers will degrade the strength of your internet connection just a bit. 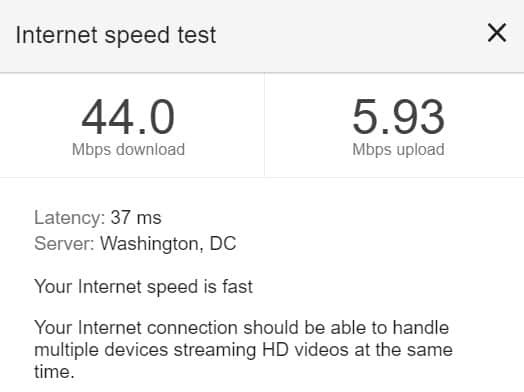 Typically this is marginal, but if you’re seeing far slower speeds than you should from your ISP, you may want to try upgrading your router. It could be that your wireless router does not offer enough channels or lacks the latest tech to provide faster speeds. Additionally, if your wireless router does not seem to be projecting a signal across your house, you may need to upgrade or attempt to boost the range yourself. Utilizes several wireless routing devices placed throughout your home, creating a “wireless mesh network” that allows for greater coverage throughout your home and stronger signals throughout. As with modems, your ISP may try to get you to rent a router. You should always buy your own router instead of renting one from your ISP. This will also save your money each month. And because a decent router costs less than $100 now, you’ll see those savings pretty soon. As with modems, some ISPs may not allow you to use your own router. Check with your ISP before you purchase a router. That said, there are few restrictions on what routers work with your ISP. As long as the router is new, it’ll likely work. If you do utilize your own router, ensure you change the username and password settings to increase security. Unsecured wireless routers can pose a significant security threat for your home and allow anyone to hop onto your home network and steal data while you’re not watching. The term “wifi” is often used to identify any wireless data signal. That includes the wireless signals sent by your home’s router or the free wireless you can pick up at your local coffee shop. It should be noted that not all wireless data is wifi, however. For example, 3G or 4G data connections may be “wireless”, but they are not considered “wifi”. Wifi is a technology specific to wireless local area network devices, such as your home’s router or a mobile hotspot device. Feeling educated about broadband? It may be a good idea to explore methods to help secure your home network. We recommend reading up on some of the best virtual private networks (VPNs) that will help secure your broadband internet against data thieves and ISPs.